Used and in good condition, fully tested. Find out more about the Canon PIXMA MG2450 / MG2550 S, its features and what it can do. Canon PIXMA MG2450 / MG2550S Canon Ink USB Cable. Take a more detailed look into the Canon PIXMA MG2450 / MG2550S. We strongly advise the set up process are made with original inks only (not compatibles or remanufactured inks). The original inks for this machine are PGI-545 black and CLI-546 colour (1 of each needed). Refurbished by independent Canon Service facility. We are based in Perth in Scotland, a scenic and historic area locally known as the “Heart of Scotland”. We are always willing to help with pre sales advice and after sales support. CANON Pixma MG2550s All in One. PRINTER SCANNER COPIER. - user manual is not included (easy to download from Canon website). - power cable, usb cable, CD with software - Included. - fully tested and working condition. New and sealed Canon Pixma MG3650 wireless all in one printer in black. Cash on collection from Wolverhampton WV9. With both Wi-Fi and Ethernet connectivity it can easily be shared between multiple PCs via an office network. Download Canon's PIXMA Printing Solutions app to print from your smart devices. Apple AirPrint and Google Cloud Print support is also provided. 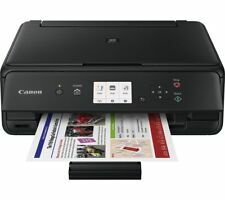 CANON PIXMA MG2550S ALL-IN-ONE PRINTER WITH INK. UNUSED SEALED IN BOX . USB cable not included. Compatible with PC and Mac. 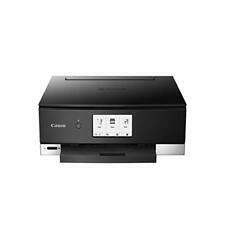 Canon PIXMA Pro-100S Wireless Wifi AirPrint Inkjet Photo Printer + FREE P&P! Box Contains PIXMA PRO-100S A3 printer, Power cord, Print head, 8 individual ink tanks, CD printing tray, Setup CD-ROM (CD only for Windows - Mac drivers available online), Starter guide. Series: Pixma PRO 100 S.
5 out of 5 stars - Canon PIXMA Pro-100S Wireless Wifi AirPrint Inkjet Photo Printer + FREE P&P! 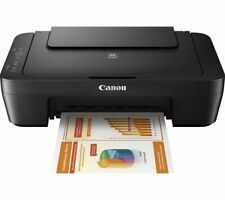 11 product ratings11 product ratings - Canon PIXMA Pro-100S Wireless Wifi AirPrint Inkjet Photo Printer + FREE P&P! Canon PIXMA MG2550S 4800 x 600 All-In-One Printer with Setup Inks. All-In-One printer – Canon PIXMA MG2550S. -Resolution: Up to 4800¹ x 600 dpi. Use less energy with Auto Power On/Off. -Copy, print and scan at once. INTERFACE PROTOCOL IEEE 802.11b/g/n (2.4GHz band). REFURBISHED BY CANON. PIXMA Cloud Link. SHEET FEEDER Auto feed from paper cassette. No CD, HDMI cable. Ink included. Canon PRINT Inkjet/SELPHY app. Canon Print Service Plugin (Android). Part Number : MG2150. The Printer Broker Ltd is a supplier of printers, fusers and printer parts based in Bolton, Greater Manchester, UK. Printer is supplied with Printheads. Canon Pixma MG4150 multifunctional All-in-One colour inkjet, Advanced wireless wifi photo All-In-One with 6.0cm (2.4")TFT printer with scanner copier auto duplexing. Wireless Type 802.11. b, 802.11. Dymo Junior Embossing Label Maker & 2 Free! Dymo 3D Tape Refills Black. Handy and portable Dymo Junior Embossing Label Maker & 2 Free Dymo 3D Tape Refills in Black for the more organized among us! 4 out of 5 stars - Dymo Junior Embossing Label Maker & 2 Free! Dymo 3D Tape Refills Black. 56 product ratings56 product ratings - Dymo Junior Embossing Label Maker & 2 Free! Dymo 3D Tape Refills Black. Also, this all-in-one printer gives you quick results with its 9.9ppm speed. At 4800dpi, this Canon printer lets you benefit from professional-quality results. What's more, this all-in-one printer gives you results on-the-go, owing to the built-in Wi-Fi connectivity. 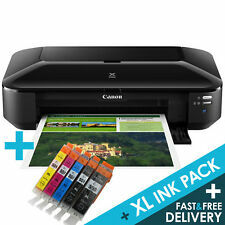 Canon Pixma Mg2550S Inkjet Multifunction Printer Colour Plain Paper Print . Collection in person only. non used, but with out boxing, it comes with new color and black&whit cartage. buyer have to pickup from house or can be delivered in London for extra £20.00 pounds. Canon PIXMA iX6850. 9600 x 2400 dpi, 5 Inks, A3 , A3, A4, A5, B4, B5, LTR, LGL, LDR, 802.11 b/g/n. With both Wi-Fi and Ethernet connectivity it can easily be shared between multiple PCs via an office network. Enjoy high quality prints as well as scan and copy functions.  Scan and print from your devices with WI-FI, plus cloud connectivity via PIXMA Cloud. This easy to use printer boasts a 7.5 cm LCD display as well as super-fast printing! Print wirelessly from your smart devices with the cloud connected Canon PIXMA MG3650 All-in-One Wireless Inkjet Printer. Easily connect to cloud storage with PIXMA Cloud Link and conveniently print from and scan to your smartphone or tablet. 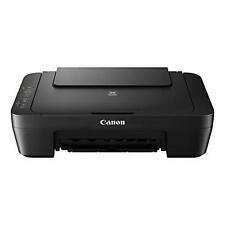 Canon Pixma MG2550S Inkjet Printer 3in1. Very rare used. Colour and black cartridge included and installed. Collection only. Print beautiful photographs and crisp text - over USB cable, Wi-Fi or directly from your SD cards. Canon`s FINE inkjet print technology and 5 single inks add convenience and cost savings. Features a lean, space-saving form factor with contrasting textures, rounded corners and tapering contours. Built-in Wi-Fi means you can print from your smartphone, tablet or computer via support for Mopria for Android, Apple AirPrint, Google Cloud Print, Windows 10 Mobile and the Canon PRINT app. Print photos directly from Wi-Fi-enabled cameras, or using the built-in SD card slot.Print, copy and scanCompact designDirect photo printing from SD card7.5cm (3") LCD screen12.6 ipm mono, 9 ipm colour5 single inks... Click here for more details. Print beautiful photographs and crisp text – over USB cable, Wi-Fi or directly from your SD cards. Canon’s FINE inkjet print technology and 5 single inks bring convenience, cost savings and great-looking prints, and is able to print a 10x15cm (4"X6") photo in just 39 seconds. It also uses 5 individual inks to produce high quality prints of up to 9600 x 2400 dpi. The Canon Pixma IX6850is capable of printing on A3 sizes and above, at a rate of up to 14.5ipm (images per minute). Photo editing software included. General information. Canon Pixma MG2550S All In One Printer. Compatible with PC and Mac. USB cable not included. Up to 4800 x 600dpi print resolution. Photo editing software included. 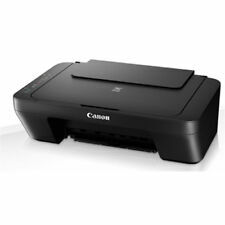 Canon PIXMA MG2550S Inkjet Printer - Black. Printer Type Inkjet. Any dents or scratches will be shown in the photos. Any minor scratches or dents will not affect the operation of the machine in any way. Canon PIXMA MG2550S 4800 x 600 All-In-One Printer. All-In-One printer – Canon PIXMA MG2550S. -USB Cabel. Greyscale: 16 bit / 8 bit. Colour: 48 bit / 24 bit. -Scanning Depth (Input / Output) -Resolution: 600 x 1200 dpi¹.